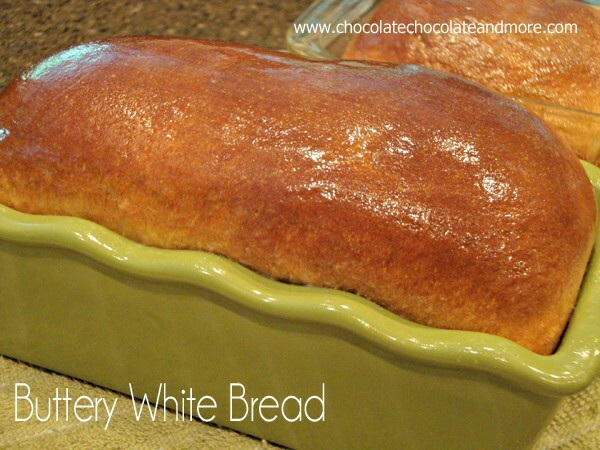 Buttery White Bread - Chocolate Chocolate and More! I love making treats to give as gifts. Cookies, Candies, bars, cupcakes. It’s fun. But we have this friend that doesn’t really like sweets. Sometimes I wonder why we’re friends. And it was her birthday. So I decided on bread. It was perfect for her and would have been her favorite present if her daughter wasn’t so awesome. He beautiful daughter gave her love in the form of notes. My friend turned 46 and so her daughter left her 46 notes, all over the house, of reasons why she loves her mom. Right outside the bedroom door when she woke up, on her tooth brush, on the coffee maker, in her drawer, all places where she would normally go when getting ready in the morning. The creativity, the thought, the love that went into this gift. My friend is truly blessed. Stir in milk mixture to yeast. Using the paddle attachment for your mixer, add in 3 cups of flour, blend until all combined. Switch out to the dough hook and slowly add more flour, 1/2 cup at a time, until a soft dough is formed. Knead dough in mixer about 7 minutes or about 10 minutes if by hand, until dough is smooth and elastic, adding flour as necessary to prevent sticking. Place dough in a large greased bowl, cover and let rise about 1 1/2 hours, until doubled in size. Punch down dough then remove from bowl and divide in half. Let dough rest 10 minutes then gently roll out dough or flatten with hands. Roll dough up and tuck under ends. Place seam side down in greased loaf pans. Let rise until doubled, about 1 hour. Bake in a preheated 400 degree oven for 30 minutes, until hollow sounding when tapped and a beautiful brown on top. Remove from oven and brush with melted butter. Use it all, you'll thank me. Let cool in pans 30 minutes before removing to wire rack, serve warm or let cool completely. This bread is wonderful all by itself, slathered with some butter or use it for a sandwich. Want to play with more yeast? Yum! I’ve never used butter in a bread recipe before – I’ll have to give it a go. Your loaves look amazing – I wish mine would turn out like that! Your bread is gorgeous! And what a cute idea about the 46 notes. How sweet! 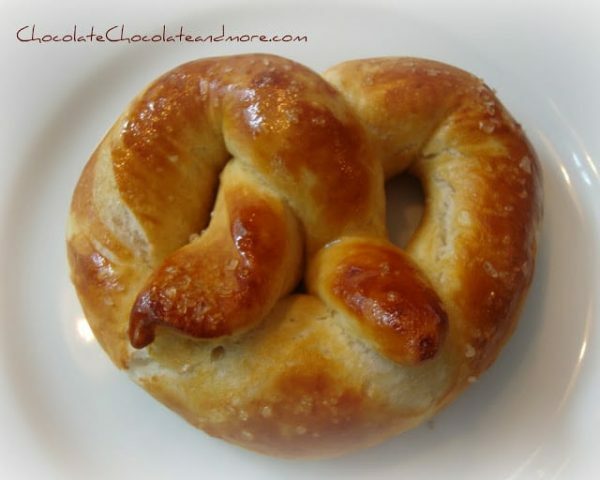 I just started my first link party and would love it if you shared this yummy recipe. http://www.michellestastycreations.blogspot.com. Homemade bread – yum! I’m sure your friend was appreciative and so was your family after you made sandwiches with homemade bread! That is a beautiful looking bread! 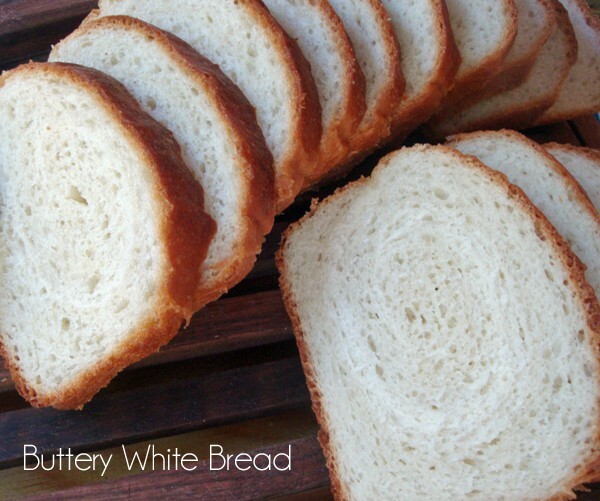 I haven’t made a loaf of white bread in such a long time, but I’m definitely saving this to try.